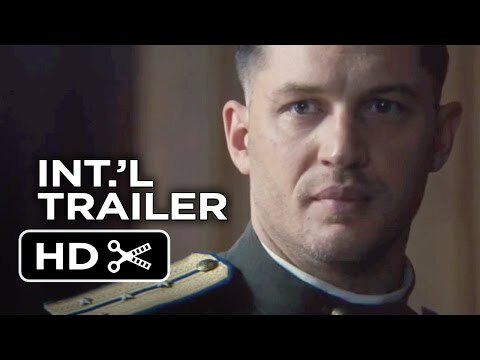 The Lowdown: A slap happy Daniel Espinosa directs Tom Hardy at his bruising best, hunting a serial killer in Stalin’s Russia; while a supporting cast including Vincent Cassell and a criminally sidelined Gary Oldman bark ineffectually in distracting accents. State oppression and child slaughter aren’t designed to illicit titters but this is breathtakingly bleak and gulag grim. 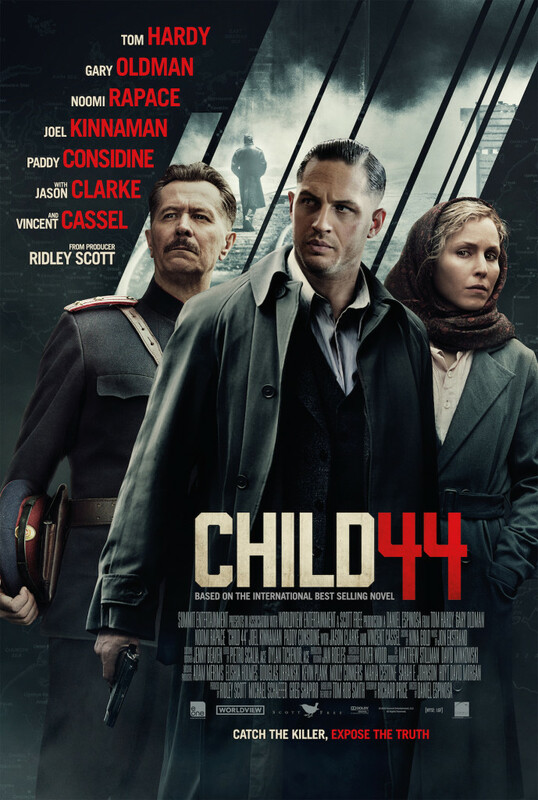 The full verdict: Inspired by real life serial killer Andrei Chikatilo, this gloomy adaptation of the first novel in Tom Rob Smith’s Agent Leo Demidov trilogy, should be a taut, compelling cat-and-mouse thriller. But, by changing significant plot points, screenwriter Richard Price (The Color of Money) has penned a politically charged but less personal story and the film suffers for it. Fortunately, Tom Hardy is on hand to deliver another charismatic, muscular performance. He breathes brutish life into Demidov; an orphan turned accidental poster boy for the Soviet state and hero of the secret police. Set during the Stalinist ‘50s, murder is an unacceptable concept in Uncle Joe’s backyard. When young boys are discovered horrifically butchered, it’s an impossible crime for the government to acknowledge but increasingly tough to cover it up. Exiled to a remote outpost after his loyalties are tested, Demidov persists in investigating these deaths, aided by his reluctant yet resourceful wife Raisa (Rapace). For all the emphasis on his physical prowess, Hardy’s characterisation contains more subtlety than the script should allow. He may be a monster but he’s a monster with a conscience and the scenes in which Demidov wrestles between professional duty and private devotion are arguably some of his finest. Despite occasional drifts into Bane’s domain, Hardy successfully gets to grips with the purring pronunciation. The accent’s certainly more convincing than Locke’s wandering Welshman. His supporting cast struggle in vain with their Slavic. An underused Gary Oldman and an overheated Vincent Cassell spit out groupthink rhetoric through a mouthful of marbles but a vulpine Joel Kinnaman (The Killing) impresses as Demidov’s envious comrade, Vasili. Rapace captures Raisa’s conflicted emotions with a tortured delicacy but illogical script shifts have her juggling incongruent character traits. Her intelligence is justifiable but no explanation is proffered as to why, during a rail car ruckus, the slightly-built schoolteacher can fight like a rabid Pit-bull. Raisa’s credibility is further hindered by an odd choice of opaque contact lenses that would appear more apt on a mid-transformation werewolf. Safe House director Espinosa excels at frenetic set pieces but can’t sustain tension when the action abates. The funereal pace, interspersed with bouts of sudden, sometimes graphic violence grows arduous. Scenes of the murderer befriending his young victims unsettle but with so much screen time squandered on social commentary, when the killer is revealed, his motivation is confined to a monologue. Should Smith’s sequels get the green light, the tenebrific tone must be lightened and more effort invested in exploring the complex relationship between Demidov and Raisa. However, on this evidence, there may not be another opportunity.